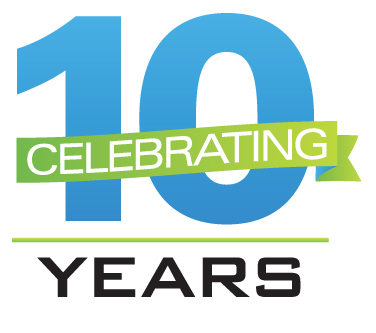 We are celebrating our BIG 10 by adopting our 10th facility! It began 10 years ago with 10 kids spending their Christmas alone on a residential mental health unit at Cincinnati Children’s. Every one of them was a foster child who had survived the unimaginable and needed intense treatment to cope with the mental and emotional scars left behind. They had a gift or two each under their tree and a loving, caring staff who had become the closest thing to family most had ever known. No one outside of their caseworkers and hospital staff knew they were there. No families were coming to visit, let alone take them home for the night. Gifts were bought and passed out to some very excited children, one of whom exclaimed, “I knew there was a Santa!”, which started the magic flowing. Never again would those 10 kids be forgotten. We are very proud to announce that 10 years later, we are creating magical Christmas mornings for 350 kids at 10 locations: Cincinnati Children’s Hospital’s College Hill Campus, Clear Creek Farm, Kettering Youth Services, Marie’s House of Hope, The Marsh Foundation, Michael’s RTC, Northcutt RTC, Oesterlen Services for Youth, The Ranch of Opportunity, and for the newest members of our family at Heritage of Hannah Neil in Columbus. Propelled by our very generous gift from Give Where You Live Miami County at the end of 2016, we were able to reach 75% more children than we did just a year ago. That’s magic! There are tens of thousands of more kids who need us and we won’t stop until we have reached them all. Help us continue our mission by donating today. Thank you, Project Believers!